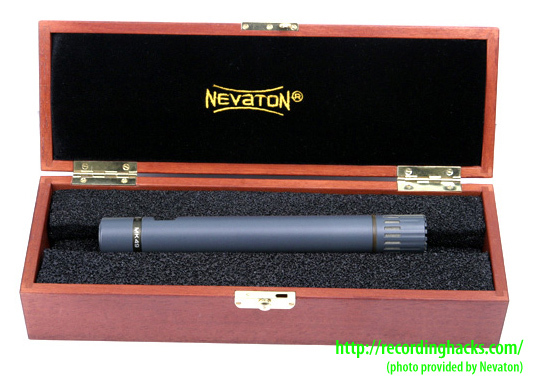 The MC49 is a small-diaphragm pencil condenser microphone. It has a fixed cardioid pickup pattern. 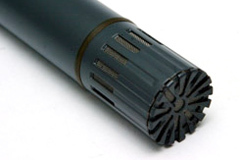 The original version of this microphone had a unique dual-diaphragm capsule; each membrane was connected to its own amplifier circuit. This architecture raised the mic’s sensitivity to 20 mV/Pa. The capsule designed changed around 2010, to a more-traditional single-diaphragm design. The capsule is shockmounted to reduce handling noise. The body is brass, finished in a dark gray epoxy paint. The mic ships in a padded hardwood box. A shockmount is included, as is a frequency-response plot for the individual microphone. 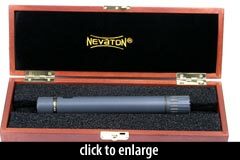 The Nevaton MC49-C is also known as: MK49, MC49-C.